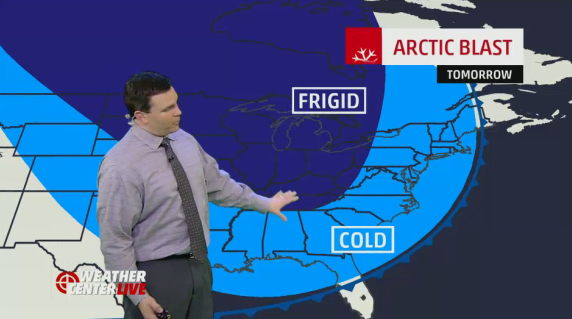 This week has seen some of the coldest weather across the U.S. in HISTORY! -30 in the Midwest, 0 in Boston, 9 in DC? And that’s before windchill! Let’s be honest, few things deter this runner than the words “arctic blast” or “frigid” and “negative X degrees” so thank you Weather Channel (below) for inspiring this blog post. Thankfully we have a gym and I was able to run indoors when I needed to this week…but I am happy to say that I did get a snow run in on Friday and loved every minute of it. But what if we can’t get out and run in the sub zero weather? What are our options? 1) Move it indoors.Hit up your local gym (one of the biggest pro’s of living in an apartment in DC is that we have one downstairs), join a spinning or barre class, sweat it out in hot yoga, or slip in a workout DVD. One of the coolest things about the new Xbox One is their partnership with Jillian Michaels, Tony Horton (P90X), and Shaun T (Insanity) through Xbox Fitness which gives you access to great (and usually very expensive) workouts with the click of your controller. Looks like I do like my husbands Xbox after all! So to my male readers, if you are looking for that perfect excuse to buy n Xbox One and your significant other is against it…you can use this…and you can thank me later. 2) Find an indoor pool. Check with your local YMCA, near by schools, public pools, and universities for open swim hours. Before I competed in my first (and only to date…gotta change that!) sprint triathlon I would train at the indoor swimming pool at my alma mater. It was free to me and their open swim hours started after I got off of work each night! 3) Find your missing motivation. Some days are harder than others…but the bulk of my “hard days” seem to fall in the dead of winter. It might have something to do with my warm down comforter…but dig deep and remember what’s motivating you to get moving. Print it out/write it down and stick it somewhere you can see every day. But like many of you, nothing can replace the feeling of finishing a good run…even if it is 9 degrees outside and you cannot feel your legs! 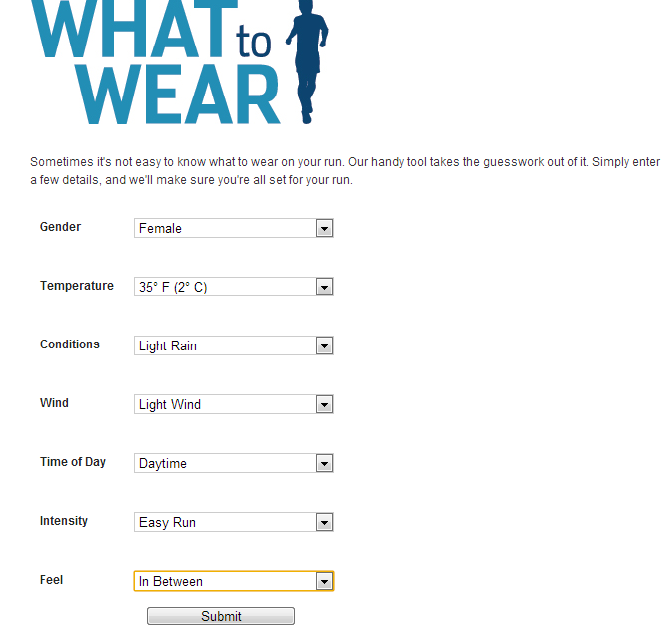 Runners World has a great calculator for what you should be wearing in various temperatures. I’ve used it for each of my races and they have been spot on. My general rule of thumb is add 20 degrees to whatever temperature if currently is and you should be set since you’ll warm up once you get running. Stay safe and warm if you do venture out into Narnia my friends! 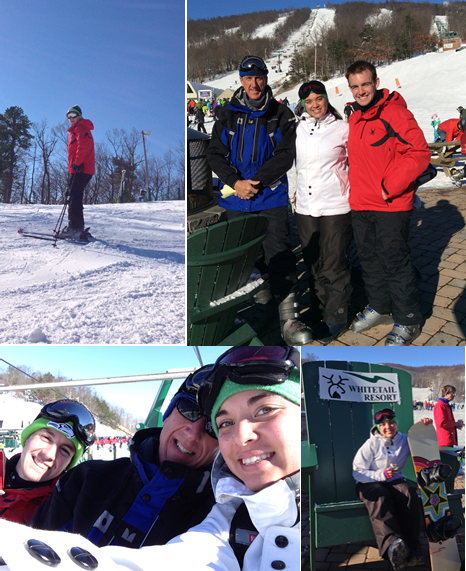 So what do you do for your winter cross training? How do you stay motivated? I’m off to try out p90x on the XBoxOne now…I’ll let you know how it goes. This is my first time doing any of the BeachBody workout videos. Yikes! PreviousRace Ragz Giveaway Winner Is….